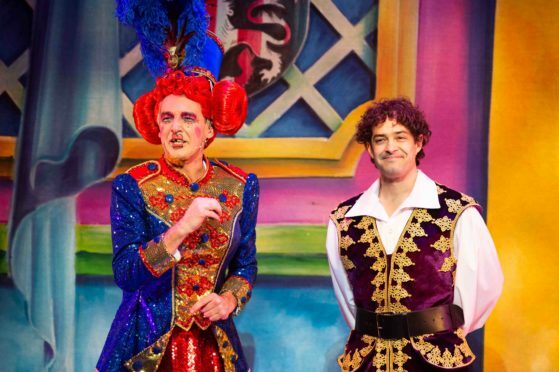 Alan McHugh and Lee Mead. The only thing that might wriggle into your ear to overtake it is something to do with a family of sharks; but I’m certain every parent has had just about enough of the finned hierarchy of the seven seas. Alan McHugh returns to the north-east with a wonderfully scripted pantomime of Snow White And The Seven Dwarves. Again it is McHugh and River City actor Jordan Young who steal the show. The duo have found their perfect footing with one another, bouncing off each other, playing along with adult humour with just enough of a masquerade that (hopefully) the kids are just laughing along with any mispronunciation of “ships in a bottle” and “getting to Fochabers”. The pastel-coloured costumes, stage and props were amazing. Playing a more background role than in the Disney classic were the seven dwarves, who failed to really take the centre ground despite excellent if knee-breaking costumes. 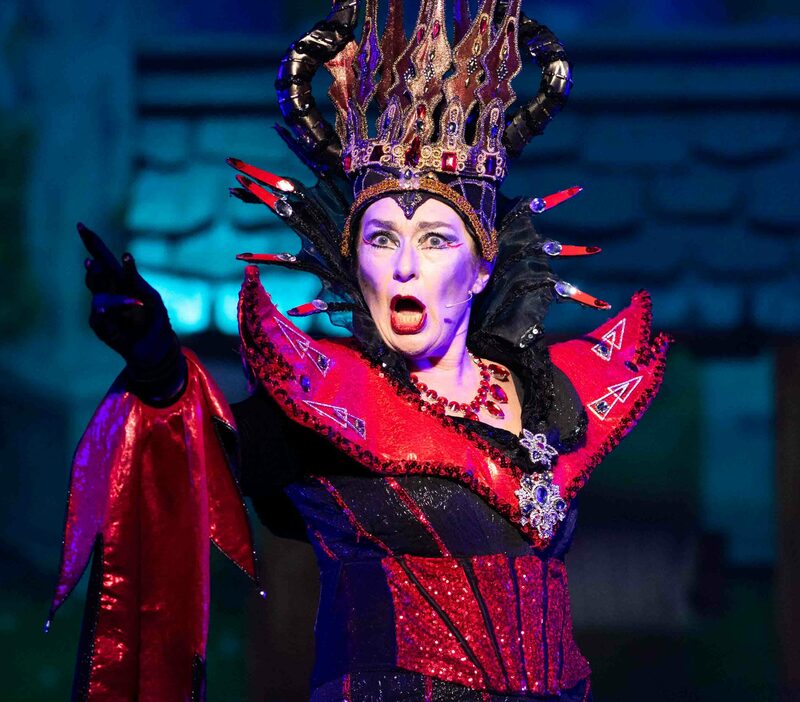 Juliet Cadzow as the Wicked Queen. Without our usual festive favourite Elaine C Smith it could have fallen flat. But McHugh’s writing, along with the excellent scoring from HMT’s house band, provided a night of pure entertainment – that and a pretty impressive pterodactyl. The star name on the bill was Holly City and Casualty actor Lee Mead, who rose to stardom as Joseph for Andrew Lloyd Webber’s Any Dream Will Do. 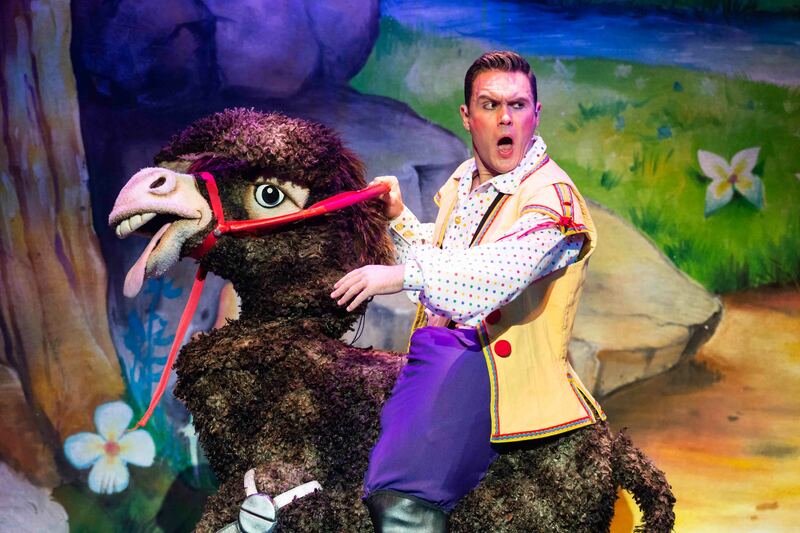 He certainly added some musicality to the two-hour panto. 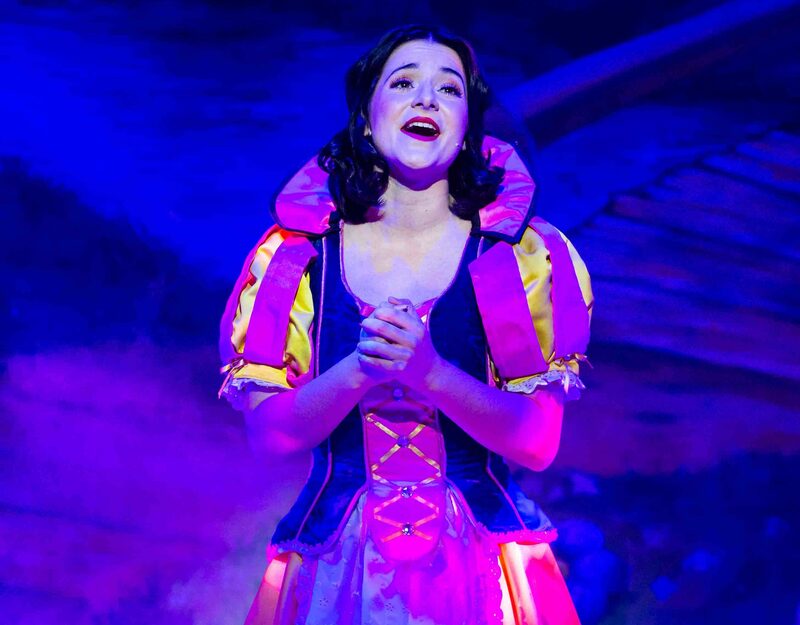 Snow White, played by Jenna Innes, also had the crowd in the palm of her hands as the sweet and sincere princess. Jenna Innes plays Snow White in the pantomime. But at the end of the day all eyes were on McHugh and Young. And “oh yes they did” get it right this year. After a spectacular Aladdin last year they’ve once again struck a chord with the north-east. From the Doric rhymes to singing the praises of Pittodrie, the crowd was standing on its feet in the second half, singing off against each other in an effort that would make Simon Cowell proud. A sly dig at the AWPR’s completion deadline had most of the audience in stitches, as did a variety of verses mentioning every town in the north east and their quirks. I spell P-A-N-T-O a little differently being a quine from the north-east. In my dictionary it is F-A-N-T-A-S-T-I-C.
It’s not as catchy as McHugh’s writing. But if you don’t like cheese, charm and a good singalong then as he suggests, it might be time for a T-A-X-I. 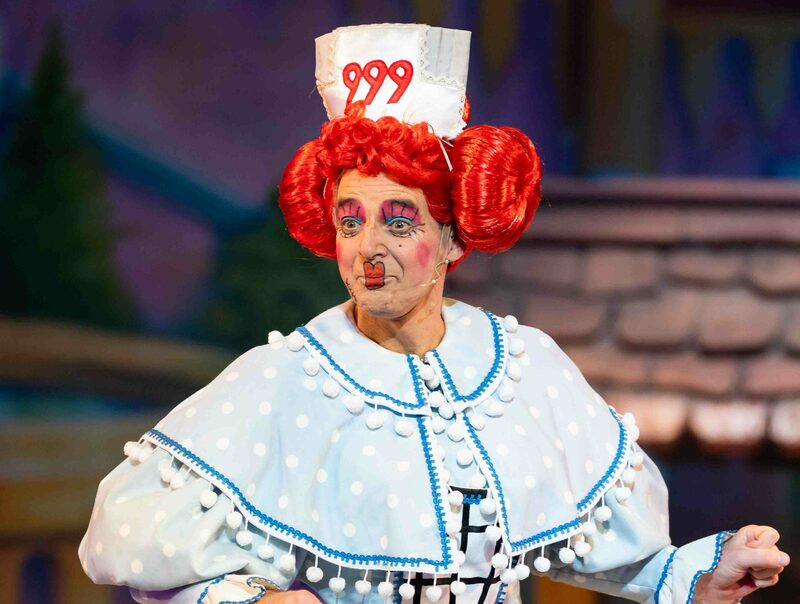 Last year I said if I had one wish at Christmas it would be for McHugh to continue writing panto, and last night it was clear my wish had been granted.